The friendship circle is often formed at the end of meetings or campfires as a sort of closing ceremony. 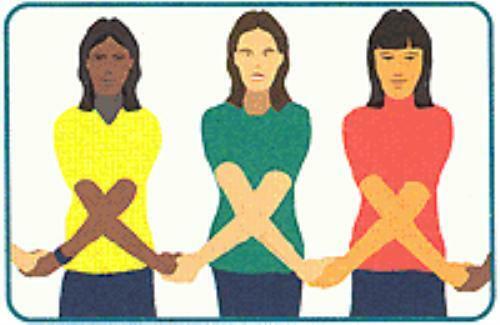 Everyone gathers in a circle where they cross their right arm over their left in front of them and hold hands with the people on either side. Once everyone is silent, the leader starts the friendship squeeze, which is passed from hand to hand. Often the girls will make a wish after their hand has been squeezed before they pass the squeeze along. Also, in some larger groups, the girls put their right foot out into the circle when they receive the friendship squeeze, so that everyone can see it travel along the circle. March 12 is the Girl Scout birthday because it marks the first meeting of Girl Scouts in the U. S. A. in Savannah, Georgia, in 1912. This is the way many Girl Scouts and Girl Guides greet each other. 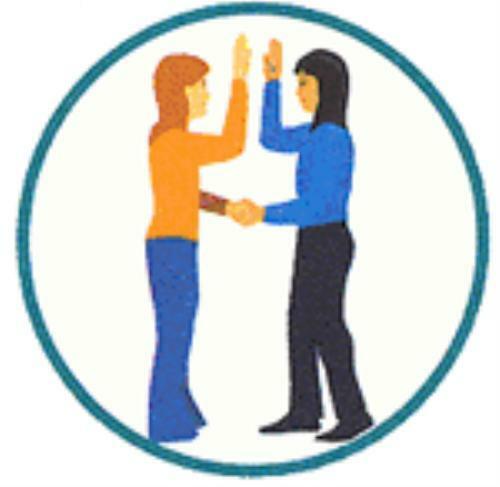 They shake their left hands while making the Girl Scout sign with their right hand. The left-handed handshake represents friendship because the left hand is closer to the heart than the right. You are welcomed into Girl Scouting at an investiture ceremony. You receive a patch or badge. Welcoming new members, girls or adults, into the Girl Scout family for the first time. Girls receive their Girl Scout, Girl Scout Brownie, or Girl Scout Daisy pin at this time. Founder of Girl Scouting in the United States, she formed the first troop that met in Savannah, Georgia on March 12,1912. 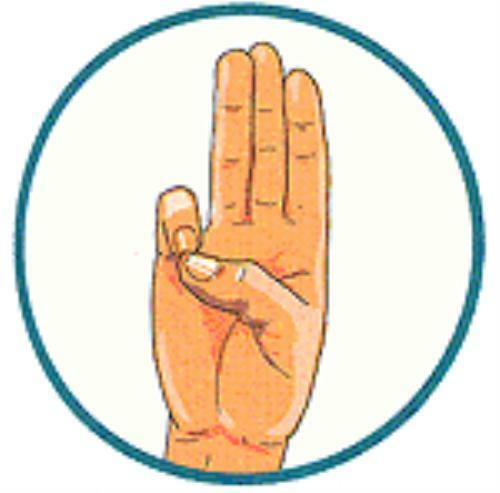 The Girl Scout signal for silence in a group situation. In order to maintain order at lively Girl Scout functions, the leader raises her right hand for silence. The girls follow in the motion; as their hands go up, the conversation stops, until everyone has their hand up and the room is silent. An opportunity for girls and adults to renew their commitment to the Girl Scout Promise and Law. A "cushion" often made by Girl Scouts to use when the ground is damp or to keep their clothes clean. Celebrated by Girl Guides and Girl Scouts throughout the world, February 22 is the birthday of Lord Baden-Powell and lady Baden-Powell. This is the day for Girl Scouts and Girl Guides to think about their sisters around the world, through special projects, international program activities or pen pal projects.